I visited this beautiful cemetery today whilst in the area and am intrigued as to the function of the small, square markers shown above - they each have a reference number on them. Please advise. Without going back and looking (and asking maybe) I really don't know. If no one else responds, I'll try and stop there again when I'm next passing. The small markers are soldiers and their dependants buried between the wars and before WW1. The Military hospital did the cemetery administration in those days. I can only assume that the family had to pay for the headstone and could not afford it. The markers and borders have been down for about ten years now, before which small lead markers was used but had sunk and the grass grown over them. On this day and age who qualifies to be buried in the military cemetry? Also if eligible what is the procedure? I was in the Nashville, TN military cemetery and noted that these small markers mark the area so that location may be easier. Then I also noted nbrs on each headstone and these numbers were in numerical order like TT-4, TT-5, indicating to me yet another reference nbr. I wanted to ask the admin bldg; but, they were closed at the time. 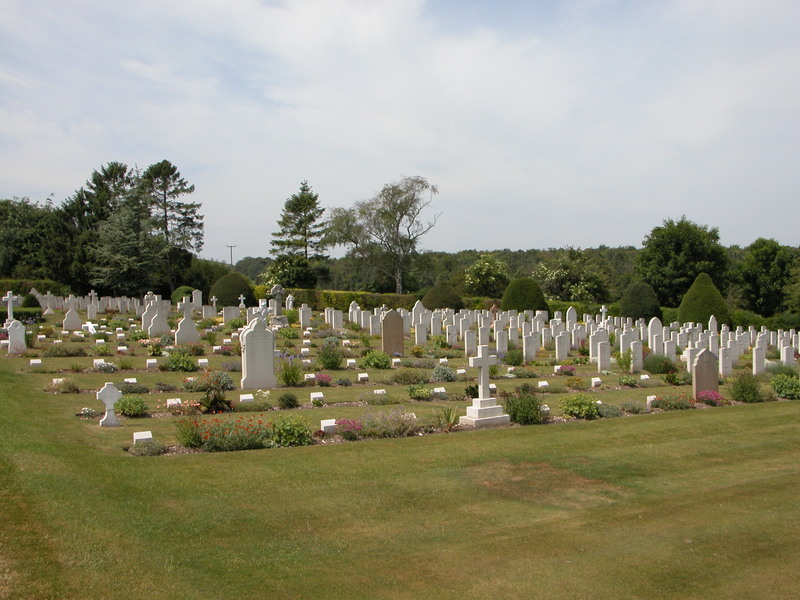 hi, is anyone can give me the postcode or address for the tidworth military cemetery ???? On October 26th, I finally got to visit the grave of my great Uncle, William Roberts, who died in 1919 at the Tidworth Military Hospital. It was a moving experience and I found great comfort to see that the Tidworth Military Cemetry is an immaculate and beautiful resting place for many soldiers. My sincere thanks to Chris, who was tending the garden beds, for his help in helping me to locate my great uncle. I certainly hope that I will be able to visit in the not too distant future. My father was a major in the artillary corp back in the 1920-40's. He died in Australia and my mother wants to bury his ashes and hers in the Tidworth military cementary. She is now 87. His RAOC number is 202688. I think he must have been stationed in Tidworth at some stage. I live locally to Tidworth and have been to the cementary many times.Hope someone can help me. Would like to contact, Mark Edmonds, ref "Op Banner" Casualty graves.